Beat This Caption Contest 76 Winner – Caption Contest Funny Clever Witty Enter Today! 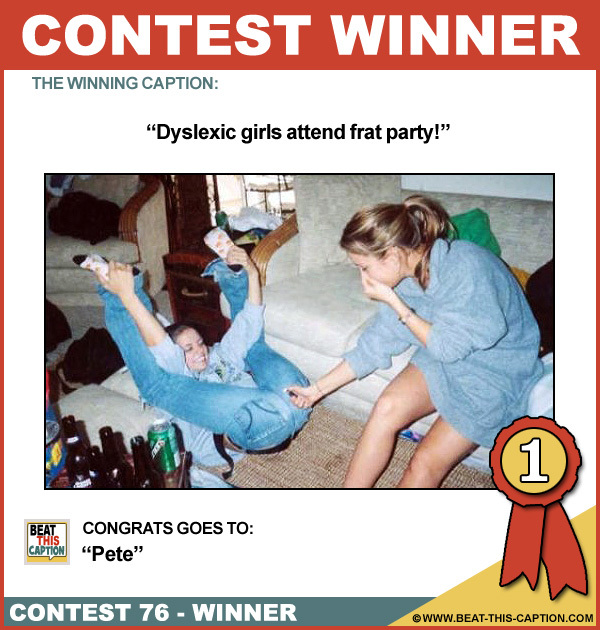 Dyslexic girls attend frat party! Meet hot singles, at Match.com! Are you sure your doctor said this was the best way to get rid of hemorrhoids? When the fun was over, the girls had to re-paint the ceiling! It was all laughs until the next day when Sara had to explain how the fire started on her insurance claim! If she can get into that position I can live with the farts!